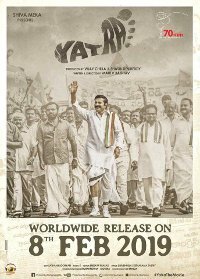 Yatra focuses on certain events leading up to YS Rajasekhara Reddy’s (YSR) padayatra or journey on foot across Andhra Pradesh in 2003. During the course of the journey YSR learnt about the things that concern the people and in turn made the people realize the kind of person he is. We also learn how the 1500 km journey shaped the two time Chief Minister’s life and his short lived career. In Telugu language with English subtitles.